After numerous requests, the classic "Over the Edge" journal of page shapes and edges is making a come back, only this time it's "Fun Size"! 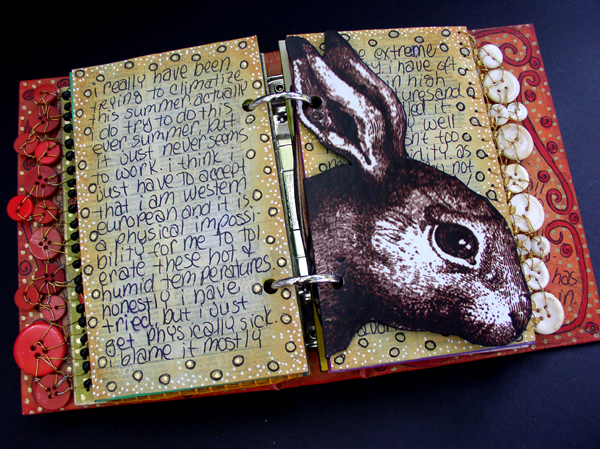 This luscious little journal (4 1/2" X 6 1/4") is a power packed version of the original. We'll work on getting those pages to "pop" (no one likes dull flat pages) and make the edges of those pages sizzle (gilding on steroids). 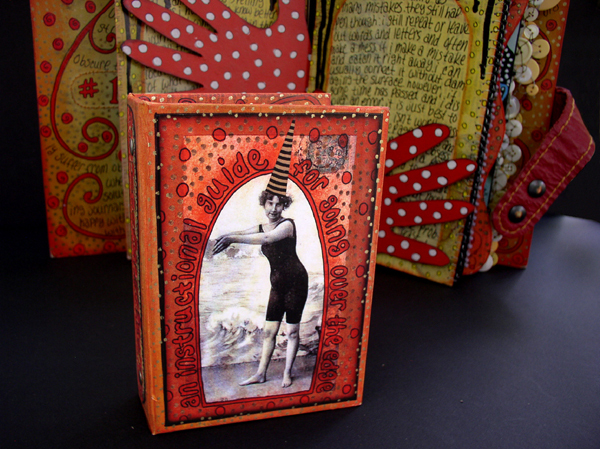 This class will help us break away from the traditional rectangular shaped page. 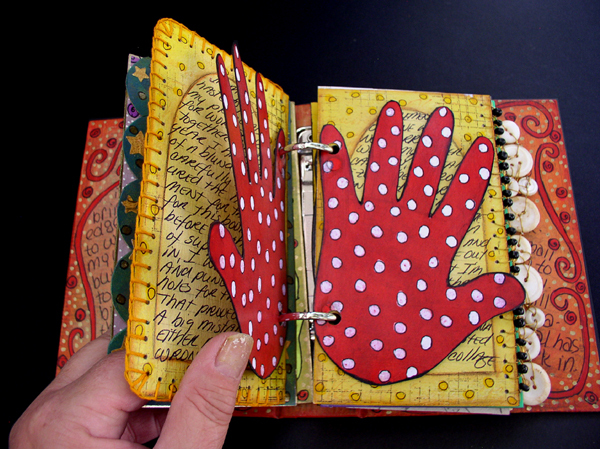 We'll explore ways of developing and making other shapes for pages giving our books more dimension and interest. The importance of the often neglected edges of pages will be emphasized. Ingrid's original book An Instructional Guide for Going Over the Edge will also be available for viewing many examples which displays a plethora of possibilities. You need only bring a few sheets of paper and a few simple supplies that you probably already have on hand and the rest will be supplied!